Reason #1: No job is completely secure. You’ve probably heard this one before. Your job could be outsourced to a location thousands of miles away. Your company could merge with another company: a handshake 2,000 miles away and now your job is gone. It’s not your fault. It’s business. But sometimes small things happen. You get a new boss who wants to bring in his or her own staff. Your industry gets sideswiped by a computer innovation. Your company decides to move to a location where you would be absolutely miserable. Reason #2: You’ll become a magnet for opportunities. I’ve seen this happen over and over. As soon as my clients realize they are ready to make a change (and don’t sabotage themselves in the process), opportunities seem to cross their paths. Reason #3: You enjoy life. When you hold a strong career position, you walk and talk differently. You’re less likely to be fired and people will go out of their way to help. You’ll make time to enjoy things outside your job because you are not pressured to be “on” all the time. Why don’t more people experience these results? Most career changers are smart. They’ve achieved great success as executives and professionals. Yet when it comes to taking charge of their own careers, they feel frustrated. They aren’t sure where to make wise investments of time and money. Many mid-career executives and professionals are frustrated with their careers. They wake up each day, dreading to go to work. They swear they’re ready to make a change. But somehow it never happens. Here are 3 reasons why. Mistake #1: Fear of leaving your comfort zone. Reality: You do need time and energy for a career change. You need a commitment and a willingness to leave your comfort zone. However, waiting too long for a change can damage your career. When you are really unhappy, you can sabotage your own success, often unconsciously setting yourself up to be fired. Good news: When I begin to talk with these clients, we almost always uncover realistic, hopeful opportunities. Once you get into purposeful, guided action, the panic almost always goes away. Mistake #2: Feeling overwhelmed by the process. 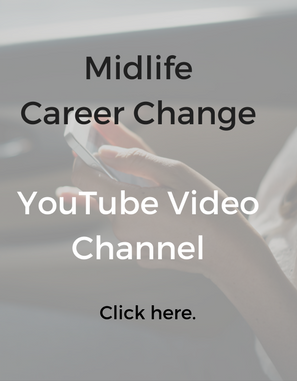 When you think about career change, there’s so much to do. Networking. Phone calls. Interviews. Research. Good news: Once you take the first action, it’s like pulling on a thread to release a knot. First one part unravels…and then the next. And you see daylight just when you are ready to give up. Mistake #3: Getting too much advice. Yes, there can be too much of a good thing. I like to distinguish information from advice. You can get information from almost anyone who’s done what you want to do. But get advice only from objective professionals who aren’t involved. Reality: Your family, close friends and colleagues have a strong vested interest in keeping you the way you are. They don’t want you to change (unless you have always been broke, unemployed and generally in some kind of trouble – i.e., you need a life coach). Good news: When you find yourself running around to different advisors and reading half the career books on Amazon, you probably need to tune into your intuition. 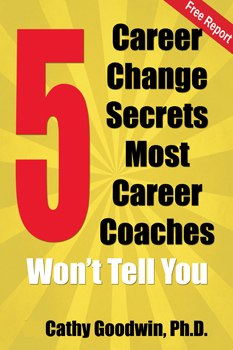 Check out my ebook: Intuition For Career Change and Job Search.